Dune Studios hosted a group presentation of menswear designers under NYMD at the southern end of Manhattan yesterday. Maiden Noir, Robert James, and Private Policy stood out for me. Designer Nin Truong takes inspiration from his Northwestern surroundings and architecture for his collection. For Fall 2017, he cites the lesser-known photographs of Cy Twombly as his muse. The soft, warm colours of his images are reflected in the colour palette of the Maiden Noir collection. Truong chose to combine wool fabrics with typewriter cloth shirting, velvets, and satins for the season. The overall effect was a luxurious, but relaxed, urban look. It was the professional, but an artsy guy. Robert James had a fantastic, edgy rock n' roll vibe to his show last season. 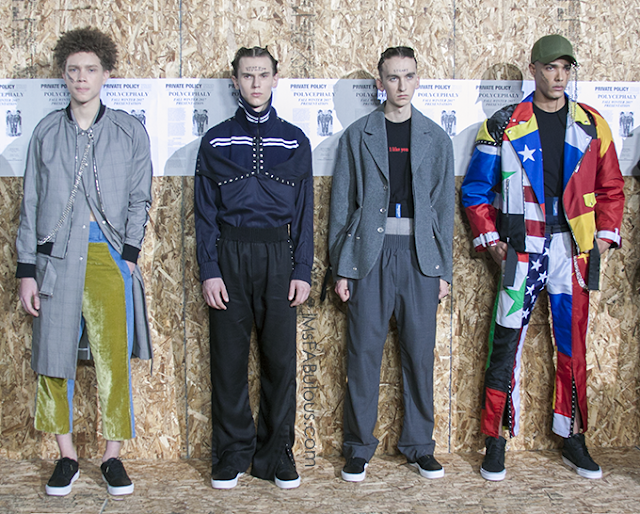 This season, he responded to the political climate by combining protest and fashion. His models carried protest signs addressing women's rights, immigrant rights, Black Lives Matter and the many other issues under attack with the current president. Styled with army surplus boots, the clothes certainly had a military feel. There were updated camouflage prints. Dark olive green, khaki, and black dominated the colour palette. 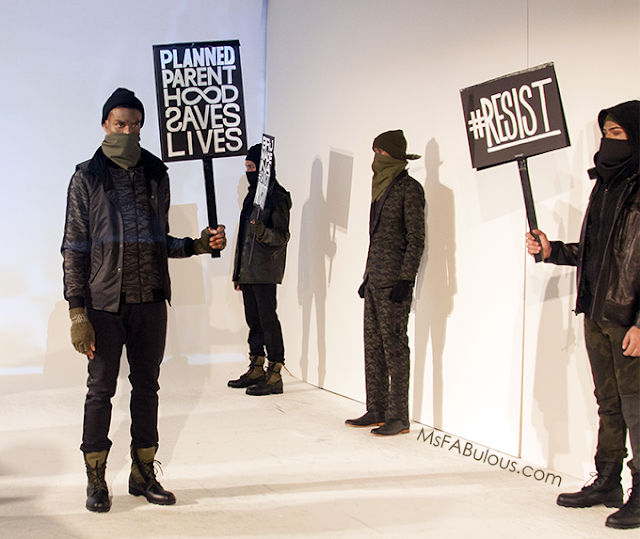 By covering many of their faces, they styling served to draw attention back to the clothes, but also to focus on the protest messages as a collective idea, not individual models. So there you have it. Three of menswear's up-and-coming labels Maiden Noir, Robert James and Private Policy have forged their way into the industry with a unique vision. 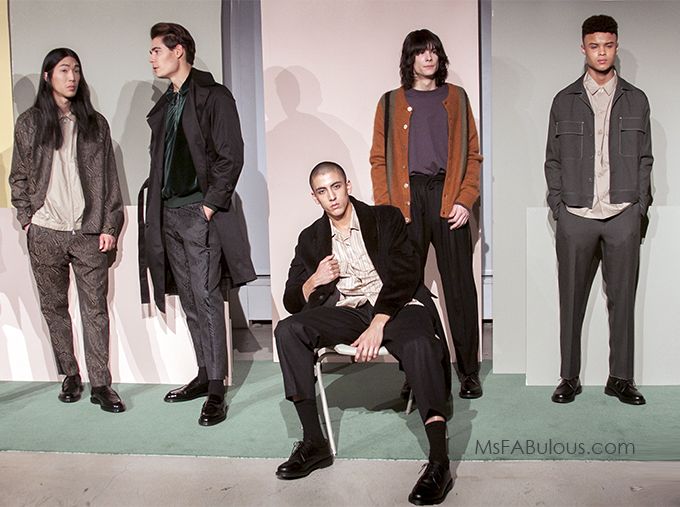 Two of them have used their fashion presentation to make a point of making a statement on society beyond the clothes of #NYFWM. Has today's political climate has changed fashion designers into taking a stand? That is a direction I hope lives beyond a trend.